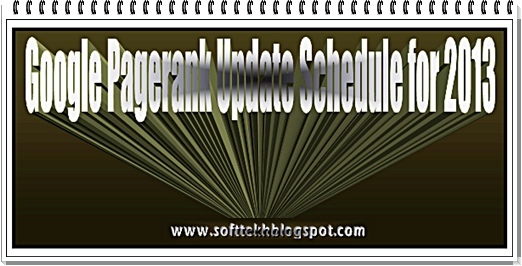 Google PageRank Update Schedule for 2013. Today I share to my all blog viewers about the Google Page-rank System or Criteria. I think, it's fully a secret and only Google knows it Google Page rank Update 2nd phase start in this month likely to be 2nd week earlier ( 8th May, 2013 ). Now we are everybody try to waiting and very ensues for the improvement for our blog Page Rank on September, 2013 to October, 2013. (may be). Google Page Rank updates Normally 3 to 4 Months of Interval in a year. Third Update: End of the month of September, 2013 to 1st October, 2013 (maybe). Some Tips For Page Rank. All blogger know that PR depends of getting thousand of Backlinks from same beautiful website and blogs. backlink is very important. It will change your Blog Rank So You may try to the Guest Post with other site. I think it is best path to perform page rank. You can also submit your website to Free article directory submission site and Free classified websites which bring you a lot of visitor and back-link from that site. You can check the Page Rank update schedule from the official notification of Google. I have been waiting for the Google Pagerank update just like everyone else. I believe it will come, but when Google decides this is anyone guess. Google page rank is generally updated within 3 month, as their is no specific time of page rank update. If your website is back linked with high page rank website then you will see quick update in page rank. Thanks for sharing some useful info related to Google page rank update we are all expecting that. Thanks for the post! You've shared some important ideas here. i always waiting for page rank update.. I spend a lot of it working through paperwork. I also often use it for my walks, though, from time to time, I'll go without it and just listen to the sounds around me and take in the nice weather. Wait and see.Write fresh contain. no copy & pest.Thank you for comments. Thank you for your valuable word for blogger. pls send me all info about this. look Webpage where write about the Govt & private Job. Nice post thanks for sharing the info. Thanks for Comments in our post about Google PageRank. It’s now more than 18 months Page Rank has not been updated. Google Page Rank is not dead for the people working inside Google, but it is dead for marketing professionals like us. I am glad when people Hire iPhone Programmers they are least interested in Page Rank and are more inclined towards app store optimization. I think Google Page-Rank will be updated very soon and will be announced as early as possible. 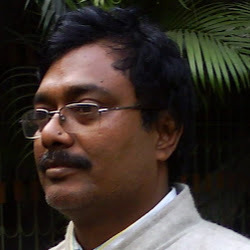 Hellow sir, thanks for sharing this nice blog.